Virus, malware and ransomware may be can help mankind once AI develop become extreme. Preface: What is your expectation from our robot counterparts in the future? Before Professor Stephen Hawking leave the world. The final warning for humanity: AI is coming for us. 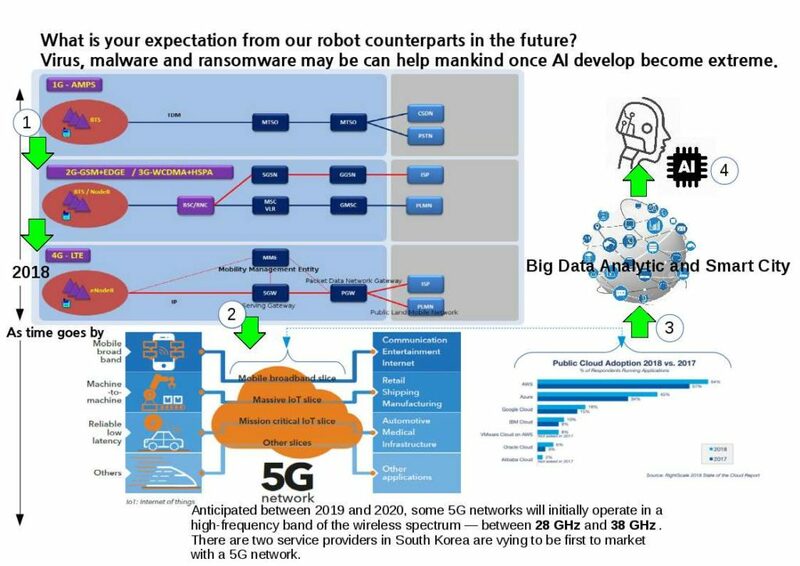 In the world now in preparing the 5G mobile technology, Big Data technology and Smart City. A silent force unintend to drive human go to next generation of world. We believe all the regime in the world now get into this competitions. A quick idea to you is that the term so called Smart or intelligence most likely are efficiency and productivity. All the components within the earth are running fast in the moment. But what is your expectation from our robot counterparts in the future? Because they are coming! Why do we recommend thinking about it at this time? For instance, the global surface temperature increases while climate change includes global warming and everything else. The extreme changes was began in mid 80’s. Why? Manufacturer cost allocation & development country boots up their power. Now we understand the impact. But seems too late! So this is the right time to consider.